(12/1/2015) Document (in Spanish) describing its development (should you like to read this in English please drop me an e-mail). 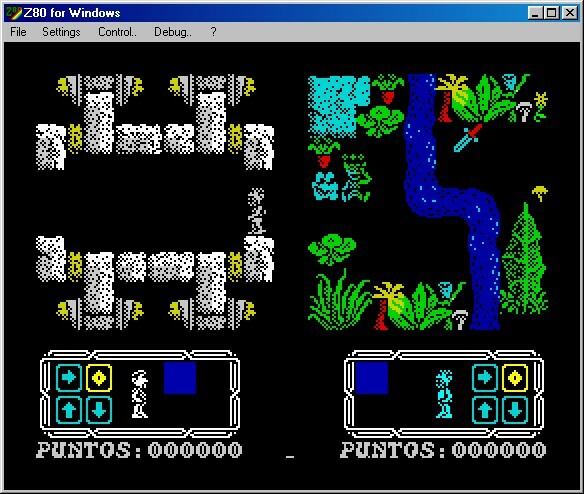 (12/1/2015) Vega Solaris in the brand new ZX Spectrum Vega. (12/1/2015) Vega Solaris for the iCade-iPad combo. (1/23/2008) Windows Emulator developed by Chui. 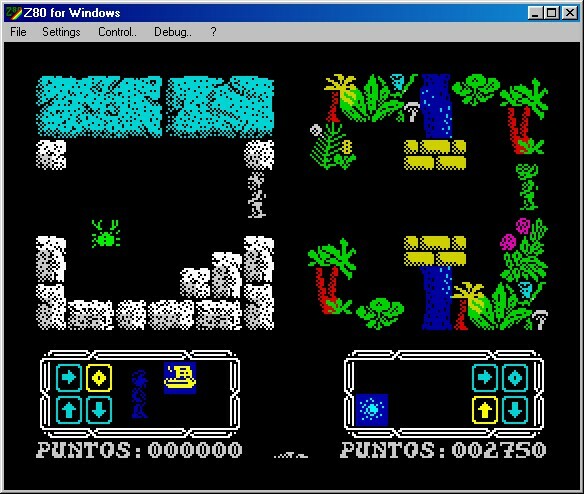 Download and sinply execute the game (only Spanish version). Video at YouTube. A remake for mobile phones is finished. It was presented at MadridSX&Retro 2006. 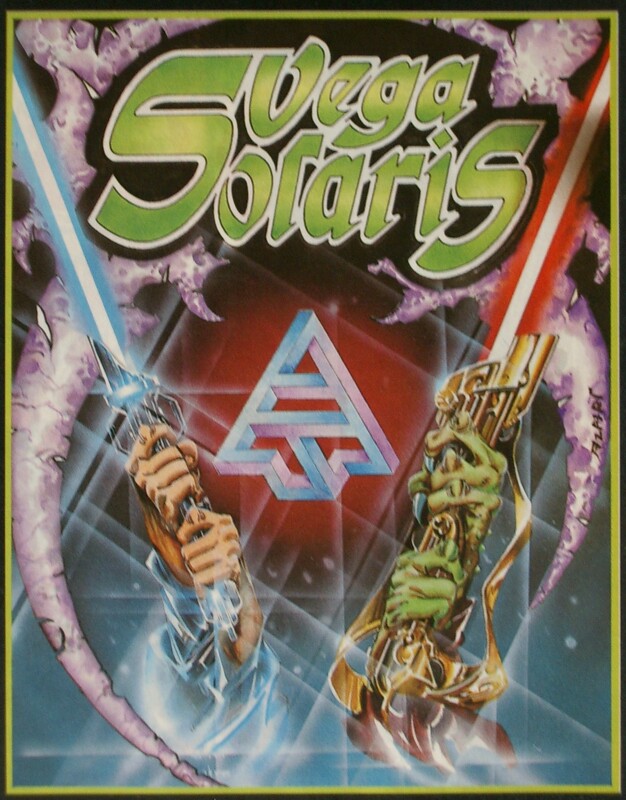 Adventure-Arcade for Sinclair ZX Spectrum 48K: “Vega Solaris”. 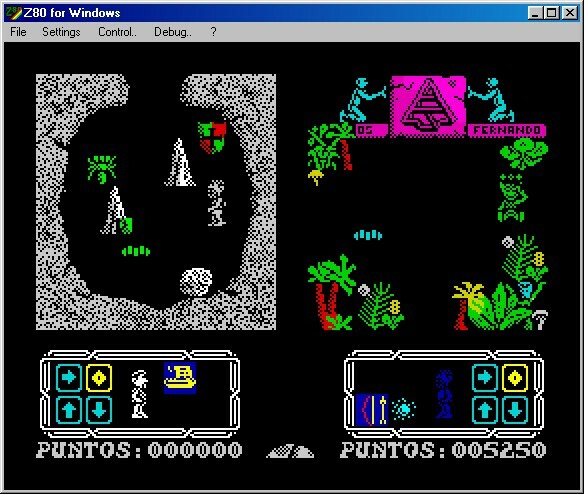 Authors: Fernando Sáenz Pérez and Carlos García Cordero (Quasar/Eclipse). The first version was signed as Quasar, but we find the more cool name Eclipse. This team was composed of only these two programmers/digital artists. 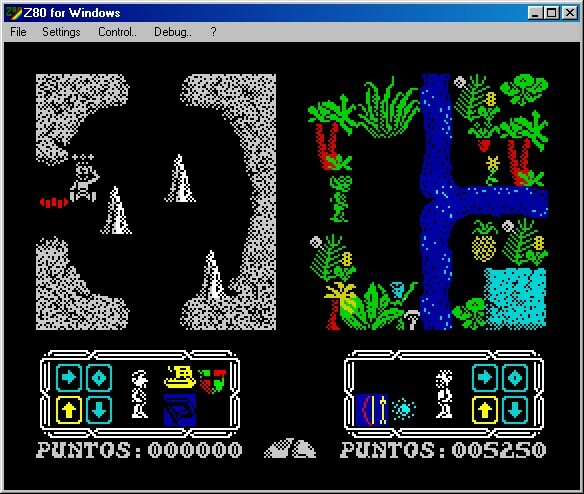 Features: Videogame for Sinclair ZX Spectrum (only 48 Kb memory!, including 16 Kb of video and system memory). It was revolutionary in the time it was developed because of its features (which become obsolete today) as: multplayer and artificial intelligence for characters.